(MENAFN - GetNews) 4FastPlumber has explained the importance of installing touchless, or hands-free, faucets in commercial or public restrooms. In a recently published blog post, the company indicates that hands-free faucets will help save water, prevent the spread of germs, and maintain functionality longer when installed in a commercial bathroom. Woodbridge, VA - 4FastPlumber has advocated the installation of hands-free faucets in commercial and public restrooms. The company claims that touchless faucets will help conserve water, prevent contamination, and preserve the faucets in commercial bathrooms. 4FastPlumber has recommended the installation of touchless hands-free faucets in all commercial and public restrooms in Woodbridge, VA. According to a recently posted blog post on the company's website, hands-free faucets will solve problems in commercial or public bathrooms. 4FastPlumber starts by noting that commercial bathrooms are the perfect breeding ground for germs and other contaminants. This is because these public bathrooms serve a lot of people and these people leave all kinds of germs on the fixtures. To prevent the spread of germs in public or commercial restrooms, hands-free faucets should be installed in the sinks. Hands-free faucets turn themselves on and off after detecting motion. This means that the user does not have to touch the faucet in any way. This will keep the faucet's handles, levers and controls clean and uncontaminated. 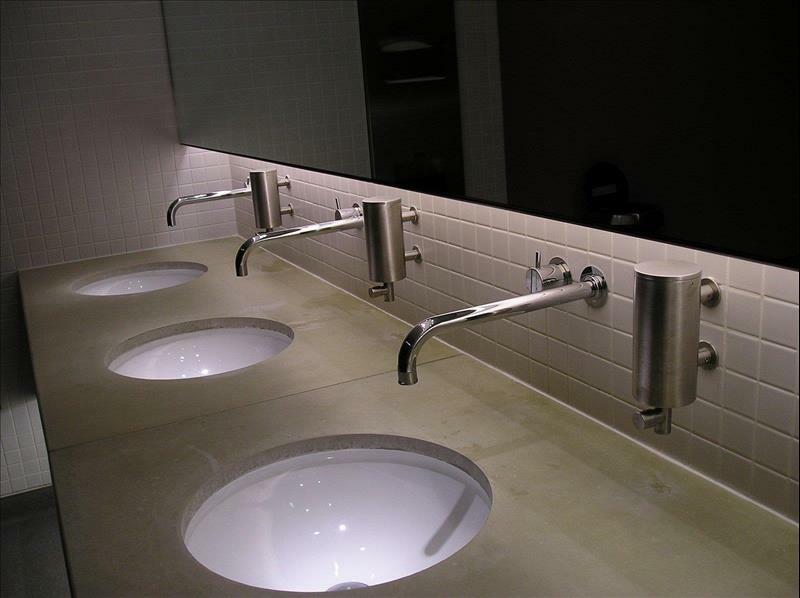 The other benefit of installing touchless faucets in commercial restrooms is that they will help conserve water. According to 4FastPlumber, who can also be followed at https://www.tuugo.us/Companies/4fastplumber-llc25/0310006444918 , a lot of water is wasted when the faucet is being turned on and off. Actually, people use about 2.2 gallons of water per minute when washing their hands under a tap. A hands-free faucet will turn itself on and off immediately thereby reducing the amount of water wasted. Another advantage of installing hands-free faucets in public and commercial bathrooms is that they will maintain their new condition. Ordinary faucets chip off and lose their new look due to constant handling. But touchless faucets are not touched by the users. This means that they will stay "new" even after repeated usage. These three reasons are why 4FastPlumber's commercial plumbing services in Woodbridge are advocating their adoption in public and commercial restrooms. 4FastPlumber is an established plumbing firm serving residential, commercial, and corporate clients in Alexandria, Arlington, Fredericksburg, and Woodbridge, VA. The company maintains an informative blog on its website with a ton of articles covering various plumbing topics. 4FastPlumber also provides a host of plumbing services including the installation, repair, replacement, inspection, and maintenance of plumbing pipes, fixtures, and appliances. The company provides specialized water heater services, sump pump services, and drain cleaning and sewer services. 4FastPlumber also handles kitchen and bathroom remodels. Reviews can be found at https://goo.gl/maps/kZXpWKdwDJH2 .